First, we’d like to thank everyone for the overwhelming response to our online classes (webinars). Every class has been full, and from what you have told us by email and at conferences, they are a big hit. Is working with files in RootsMagic a mystery? Learn how to organize your RootsMagic files and folders, create and restore backups, import and export information from other programs and GEDCOM files, share data between computers, and much more! Every family tree is subject to errors. Learn how to clean up your places and sources, discover possible errors and problems in your data, find and merge duplicate records, split and merge trees, and more! These classes were chosen based on the response to our survey. If you still haven’t had a chance to let us know what you want us to teach click here to take the survey. Each class will be limited to the first 1000 people to sign up, but if you miss out or can’t make it, don’t worry because we will record the class for you to download and watch later. Loved the two classes I took last month. Thank you for offering them. I was unable to get the classes that I signed up for online. Was delighted to see that it was recorede, and I could watch it later. It was very informative. Thanks very much. Although I have had RM since it started as Family Origins and have had the pleasure of attending two of Bruce’s seminars in OH, I REALLY have enjoyed and appreciated the webinars. Well constructed, timely — it is like having a one-on-one tutor. Thank you very much for recording the classes for later viewing. I cannot sign up for the class on Feb. 8 due to a conflict but I certainly want to learn how to organize my files. I just watched the Roots to Go webinar and found it immensely helpful. So far have done one class and am excited to do others (the recorded ones not the live webinars). What about a “shortcuts” class? . . . using the function keys, copy-paste, etc. Any ways to use the program more efficiently. Delighted to see these classes. I was unable to do the classes at their scheduled time, so was pleased with the recordings. I learned so much from the first one even though I have been using RM for several years. This was really like having a private session with Bruce. Look forward to all the coming classes. Thanks for doing this. I’ve gone from random guessing to much more focused collection of information. RM4 makes it very easy to keep track. The webinars have been inspirational as well as useful and informative. If I didn’t consider myself a genealogist before, I actually consider myself at least a beginning genealogist now! I especially appreciate being able to go back over the webinars. Thank you!! I am a UK user of RM who has been a fan of your programs since Family Origins 3 days. I downloaded the Sources etc seminar today and found it had excellent advice which cleared up some doubts I had about my interpretations of the terminology involved. Thank you and thanks in advance for any special advice you can give to us UK enthusiasts. I have taken three of the classes and learned something new in all three. Thank you for putting on these free webinars, I hope you continue to do this. Just wanted to add my “thanks” to the many others and especially for having them recorded for later use. all the webinars were extremely useful! I have used RM for several years but not until I attended the webinars did I realise just how much thought and work has gone into this program. It blows me away to see the intricacies of the program. Thanks so much for these wonderful webinars. Now I have lots of work to do to fix up my data. Terrific webinars. I just viewed the one on Sources, and Cleaning up Your Files. I found both to be very thorough and informative. I’ve used RM for years, and still found new tricks and features I didn’t know about. Thanks so much for the webinars! I have learned a lot about the RM program. And Personal Historian! See you in St. George. Have missed some classes due to illness/emergencies that I signed up for. So very glad to be able to download and view at my leisure. THanks for this wonderful service. I really appreciate not only your classes and subjects covered, but especially the recording/taping for later study. These are excellent coverages and already I see things I’d never known. Thank you for this contribution. I would like to try some online classes as I am just getting started. I have lots of info already just need to know more about the sheet and etc. 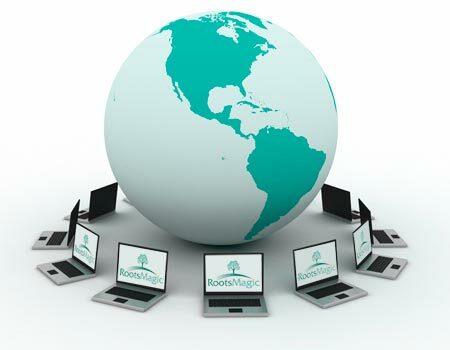 I came to Rootsweb from Parson’s genealogy program and have told many people what a wonderful program Rootsmagic has to offer. I agree with several others that the support folks are very patient with all my questions.